Denise Richards, Laila Ali, Tia Carrere, and Ali Landry turned out to support a good cause. Celebrity parents and their kids attended the 22nd Annual Elizabeth Glaser Pediatric AIDS Foundation Benefit held at the Wadsworth Theater in Los Angeles, CA. 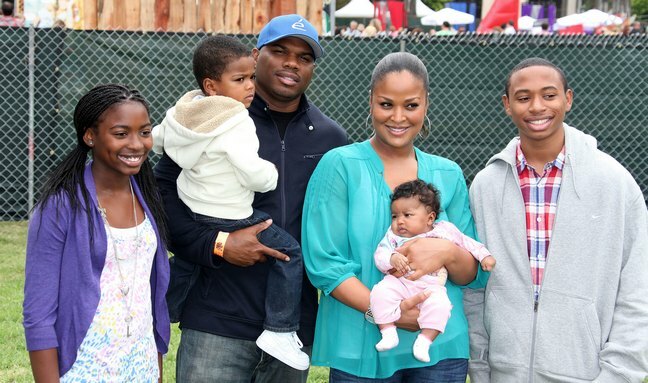 Laila Ali, her husband Curtis Conway, stepdaughter Leilani, stepson Kelton or Cameron (twins, but we aren't sure which one was along for the event! ), son Curtis Jr. and newborn daughter Sydney.